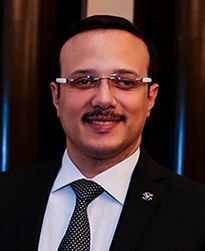 After qualifying as a lawyer in his native Egypt within the fields of Criminal and Public Law, Mr. Mohsen Elhais has been practicing in Dubai for over seven years. Working exclusively with Al Rowaad Advocates, Hassan is an effective leader of the company, the spokesperson and driving force. Hassan has a strong ethical stance with regards to the place of the law firm and its work on behalf of the client, from clarity on the legal process through to the fee system. Specialising in the drafting of all statement of claim, memos and consultation with regards to all kind of litigations, Hassan has worked his way through the ranks of Al Rowaad Advocates from joining as Legal Advisor to his current role as Senior Partner. Visit Hassan Mohsen Elhais' blog.